Businesses today are starting to catch on to the ways to use video to effectively reach a wider audience. Social media sites are brimming with videos, and a lot of the clicks that bring people onto a YouTube page are actually through a video link posted on a social media site like Twitter or Facebook. Find out about some more details about this phenomenon of video proliferation, and what it means for modern businesses who want to keep up. Along with the increase in video presence on social media, the nature of the videos being displayed has changed. Many brands reach out to consumers by encouraging friends and relatives to share and recommend products that they enjoy. Videos are being tailored to this fast-growing approach that has been dubbed influencer marketing. Having a cool, trendy page with lots of videos, or sharing interesting or funny videos that people want to share are both examples of ways in which influencer marketing is used to get more people to view relevant video footage. With the explosion of video views in recent years, it has been shown that people want new and exciting ways of watching footage in order to keep them engaged. Live streaming is a great example of how companies can connect with their customers in real-time by answering comments and requests during a stream. Content is now not just about gripping text, but about enticing videos. The following statistics are cited by Mike Stelzner, a social media examiner. He notes that 21 percent of businesses believe videos are the most important form of content marketing. 58 percent of business actually want to improve the knowledge base in YouTube videos by adding their own discoveries. 73 percent of marketers will be increasing their video usage by 2016. Compared to other websites, Facebook, in particular, has seen a massive surge in the number of video uploads. 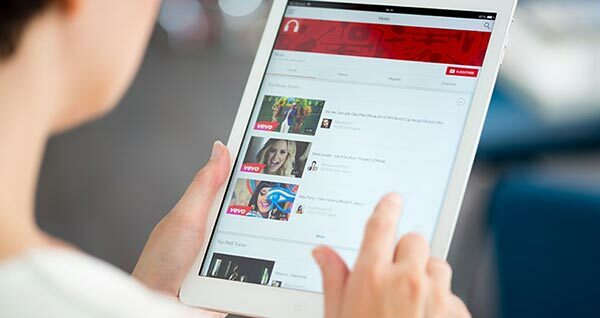 Youtube is still the central hub of video viewing. Most videos shared on Facebook or Twitter can be linked back to Youtube. Those with accounts can start up their own channel where they focus on their product and image in creative ways that use video to its fullest. A great example of this is a newer company, Hampton Creek. They post videos of all kinds of recipes that involve their “Just” products, which are meant to be used as vegan substitutes for popular products like mayonnaise and cookie dough. They also connect with viewers by sharing their story. Videos allow the faces of a company to speak directly to the public. There are so many new and exciting ways to utilize videos to reach a new audience. Whether they have already filed their niche or are trying to dabble in something new, businesses are realizing that there is a vast potential of untapped influence that is yet to be discovered in the use of video through social media. Previous: Smartwatch Update: What’s Your Best Choice For 2016?